There is still a lot of snow on the ground, but hopefully in the very near future we’ll be able to start getting out into our yards and properties to perform some spring clean-up and maintenance. As seasoned Calgary landscaping professionals, we know that this is the ideal time of year to give your trees and shrubs some tender loving care. Calgary landscaping experts agree that late winter or early spring is usually the best time of year to prune branches from large plants. For trees and shrubs, a good rule of thumb is to do your pruning before sap starts flowing, which occurs once temperatures are regularly reaching above-freezing levels. Pruning is usually done during the late winter or very early spring because it’s the time of year when trees and shrubs are dormant. During dormancy, the plant’s growth and development cycles come to a temporary pause. If you prune properly, your tree or shrub will hardly even notice the difference, as they have essentially become inactive, and are not drawing nutrients or moisture from the soil. The cooler temperatures also mean that there are no bugs or creepy crawlies that can get into “wounds” where branches have been freshly cut. Trust us, your trees and shrubs will thank you for the upkeep and attention once they start growing in earnest. Think of it like this: when you prune a tree or a shrub, you’re essentially slicing down its limbs and appendages. Just as you would be injured if someone snipped off the end of your finger, so too is the tree when you prune its branches. However, when a plant is in its dormant phase, it doesn’t need to spend as much energy gathering or distributing nutrients. Energy that would otherwise be spent on circulating sugars or performing photosynthesis can instead be dedicated to healing, helping the plant recover from pruning more quickly than it would during its active phase. Stick to pruning smaller branches as much as possible. If a branch is less than 5 centimetres in diameter, you can prune it without worry. Anything larger than that should only be removed if you have a very good reason, such as damage or disease. It’s best to prune young branches, as this reduces the severity of scarring. When pruning branches, don’t cut them too short or leave them too long. Branches shouldn’t be left with stubs, nor should their collars be cut away. As a general rule of thumb, look to prune trees with “V” shapes rather than “U” shapes. V-shaped branches are weaker, while U-shaped branches are stronger and healthier. Finally, for trees, try to keep branches spaced out evenly, and prune away branches that rub up against or cross over other branches. For plants that flower during the summer, prune during the winter or early spring. For plants that bloom during the spring, you should prune them after their first flowers fade — usually in mid-to-late spring. You can also prune out of season if your objective is to stunt or direct a plant’s growth. For example, you may want to prevent a large tree’s branches from extending too far over your fence and onto a neighbour’s property. This type of pruning is best performed during the summer, once the plant’s seasonal growth phase has completed its course. Finally, emergency pruning can be performed whenever it’s necessary. The presence of damage or disease makes pruning necessary to protect the overall health of the plant. Of course, there are situations when you’ll need the experienced hand of a qualified pro. We at Mirage are always happy to make a special trip to your home or commercial property to get your shrubs and trees started off right for the season. 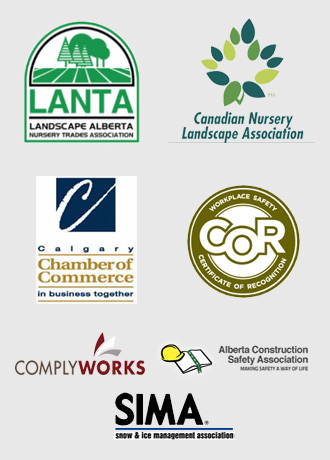 Calgary Landscaping: Need Expert Tree and Shrub Care Advice? 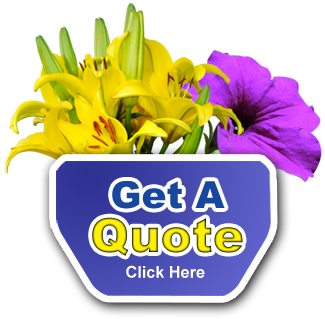 Mirage Landscaping is a leading provider of residential and commercial property maintenance services. A family-owned company for three generations, Mirage Landscaping places the utmost importance on its customer relationships, providing courteous service, quality, and reliability for prices that are more than fair. Among its many services, Mirage is pleased to provide a very affordable Calgary spring clean-up and maintenance package. To get an idea of how well we work, please view our project portfolio.